Cast spells - claim gold! 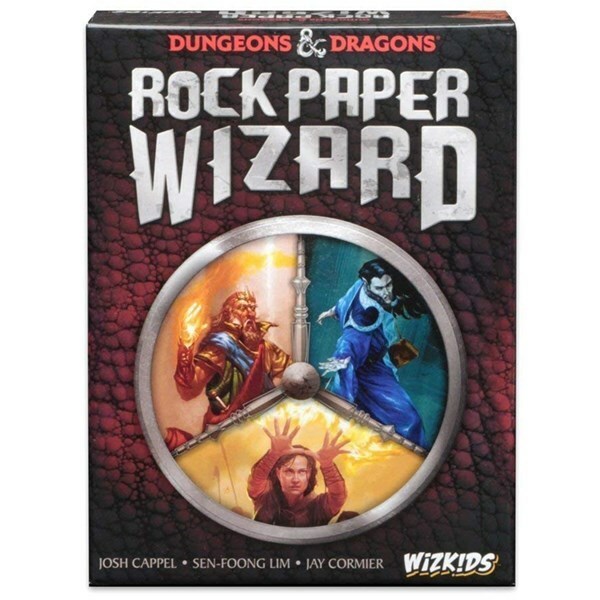 In Dungeons & Dragons: Rock Paper Wizard, the dragon has been slain, leaving behind a treasure over which to fight, and the players are wizards who are fighting to claim the most gold from the dragon's pile.The players have a shared "spellbook" of cards depicting various well-known D&D spells, and each card shows a unique hand gesture that the player must make to cast, while pointing at another player as the target of the spell. 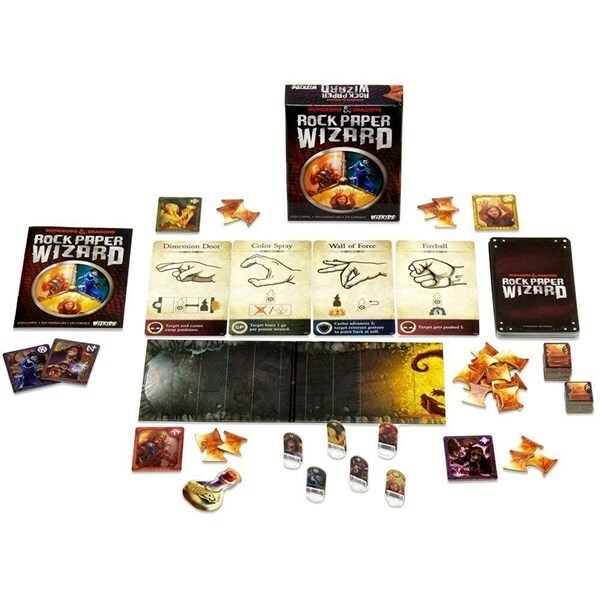 All players choose their spells simultaneously, and the spells can move the wizards closer or farther away from the treasure or affect the game state in other ways as well. It's a game of second-guessing, satisfying successes, and agonizing reversals as each spell cast potentially affects the outcomes of the following ones! The first player to grab 25 gold pieces from the hoard wins.